And frankly, I'm not sure whether most of the nonsense comes from ignorance – they just don't understand the science, the regulatory gauntlet, or the doctors who will be prescribing new products. Or worse – trying to manipulate the market to help out friends holding positions in the stocks they "analyze." Case in point: Keryx Biopharmaceuticals (Nasdaq: KERX) is a small biotech (market cap: $1.29B) with an experimental drug, Zerenex, that treats elevated phosphate levels and iron deficiency anemia in patients on dialysis for advanced chronic kidney disease (CKD). Last week, Keryx announced a public offering of 6.9 million shares of common stock at $14.40 per share. Dilution, of course, would cause a temporary drop in the price, but that wasn't enough from some blogger analysts. In particular, Steven Breazzano decided to pile on in a Seeking Alpha article titled, "Keryx Biopharmaceuticals: Grim Realities of the Dialysis Market Will Result in Commercial Failure." It was a hatchet job from start to finish and helped pushed the market down by 10.3% at one point on Wednesday (Jan. 22, 2014) from the prior day's close. Fortunately, even with the price drop, my subscribers were still enjoying a 51% return on the stock – because whatever the bloggers had to say, Keryx is a great company with a great product. Breazzano leaps out of the gate somewhat panicked over the following quote from a recent Keryx press release regarding a new public stock offering: "Keryx intends to use the net proceeds from the sale of its common stock to fund pre-launch/launch inventory build-up and pre-commercial/commercial activities related to Zerenex, the ongoing development of Zerenex in pre-dialysis, and other general corporate purposes." From this, he concludes there are no strategic partners interested in marketing Zerenex in the U.S. It's a huge assumption, based on zero evidence – like those guys who see Bigfoot everywhere there's a local forest and running water. The company has a fiduciary responsibility to its stockholders to prepare for its product launch, with or without a strategic partner. The quote reveals nothing about whether other, larger firms are sniffing around for a deal. 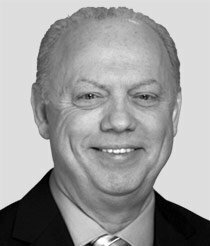 But more to the point, company president Ron Bentsur has been clear in past statements that the company sees the tightly focused market in CKD patients on dialysis as presenting a unique opportunity for a small firm like Keryx to carry out its own marketing – and reap the financial benefits thereof. The article goes on to say that the current-standard-of-care drugs, Renvela (Sanofi/Genzyme), Fosrenol (Shire), and PhosLo (Fresenius), will all soon have equivalent generics that will take a large bite out of the market, and that in any case, Zerenex is only marginally better than these drugs in terms of its clinical significance and therefore won't be attractive to prescribing physicians. Baloney. Zerenex is completely unique in that it not only binds phosphate like the drugs mentioned above, but it also manages iron levels in the blood to control anemia, and it takes on another common problem of CKD patients, low hemoglobin, by boosting red cell production. Currently, the only way to manage anemia in these patients is by sending them to a clinic for an expensive injectable drug called Epogen or intravenous infusions of iron, either of which frequently cause iron overload resulting in serious heart problems. Zerenex triggers the body to reabsorb excess iron naturally, so blood levels never get out of hand. Injectable drugs also increase a patient's risk of infection. Note that Zerenex is dosed once a day by mouth, and there are no other FDA-approved oral drugs that increase blood iron levels. In the clinical trials, it reduced the need for injected iron or dispensed with it altogether. Down go the risks, and down goes the price tag! Given that Zerenex has three clinical actions that it does well, improving patient outcomes and lowering treatment cost, I believe it's a game changer.